In order to increase your chances of leaving a good impression at the job interview and become one of shortlisted candidates, it is necessary to be well prepared for that interview. How does the good preparation for job interview look like? Find out more information about certain company (by looking at company’s internet page, via friends, neighbors…). Think about the most important details from your biography and prepare yourself for adequate presentation. For the questions that could make you look bad (for example, period when you lost your job, reason for leaving previous employer), prepare neutral answers. Prepare 2-3 relevant questions that you will ask employer when you get a chance. Questions should be about company business and concrete expectations from the position that you have applied to, not about the salary. That conversation should be left for later. Also, is very important to check in advance where is the location of company and how much time you need to get there in order to avoid being late for the interview. Take with you telephone number of the person you can call if you are late due of unpredicted circumstances. 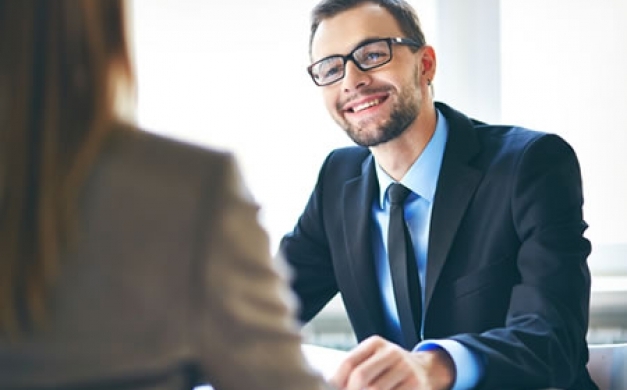 You came to the interview – now you need to leave the best impression to the employer! Have in mind that first impression you leave on someone is very important and it is hard to change it. Firmly shake the interviewer’s hands, both before and after the conversation. Pay attention to your posture, do not dangle on the chair, yawn or show nervousness. Keep the eye contact with the interviewer. Don’t smell like cigarettes or chew the chewing gum. Listen carefully the complete question, think about your answer, but don’t make long pauses. Speak loud, confident and without using slang. Say your opinion when you are asked. Show motivation to work and fit into the collective. Do not ask questions about the salary and vacation immediately. Is the certain workplace new in the system or it had existed before? How the organization structure looks like in the sector in which you should work? What would be the main responsibilities and goals for that position in the next period? What type of contract would be offered to me? What are the plans of the company on the market? Also, you can ask the employer some specific questions about their business plans, for example I can see that your current business is focused on export. Which countries are interesting for you in this moment? Is there a plan for entering a new market in next few years?